At the recent 2013 Manchester United Football Club End of Season Ball & Awards Ceremony, EventBeat were tasked with providing tailor-made Twitter screens with full branding requirements, to allow attendees to interact with each other and the award nominees through Twitter. Attendees were encouraged to use the hashtag ‘#beingunited’ and through our EventBeat software interface we were able to broadcast the pick of the tweets onto a total of fourteen fifty-inch screens and an additional two ‘nine-foot’ screens placed around the venue. Through the EventBeat system, we could manage and curate tweets that were tweeted by attendees in order to broadcast only the most appropriate and to ‘filter out’ any inappropriate tweets. 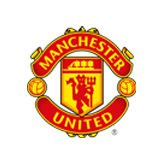 All the tweets from the 2013 event have been stored on the EventBeat system, enabling Manchester United to be able to quantify the success of the event and use it as a benchmark for the end of season ball on an annual basis. The level of attendee interaction on the evening was huge. There were approximately 603 guests on the evening, and the EventBeat Twitter Wall generated 709 tweets in total, of which 152 were broadcasted to the numerous live screens. Approximately 25 Twit pics taken by attendees on the evening were also broadcasted by EventBeat onto the Twitter Walls. The fact that people’s tweets were appearing in front of the whole venue generally got attendees excited about ‘getting their tweet on the wall’ and thus the atmosphere of friendly competition was generated. The event turned out to be so popular in the end that the hashtag #beingunited was trending in the Manchester area on Twitter.